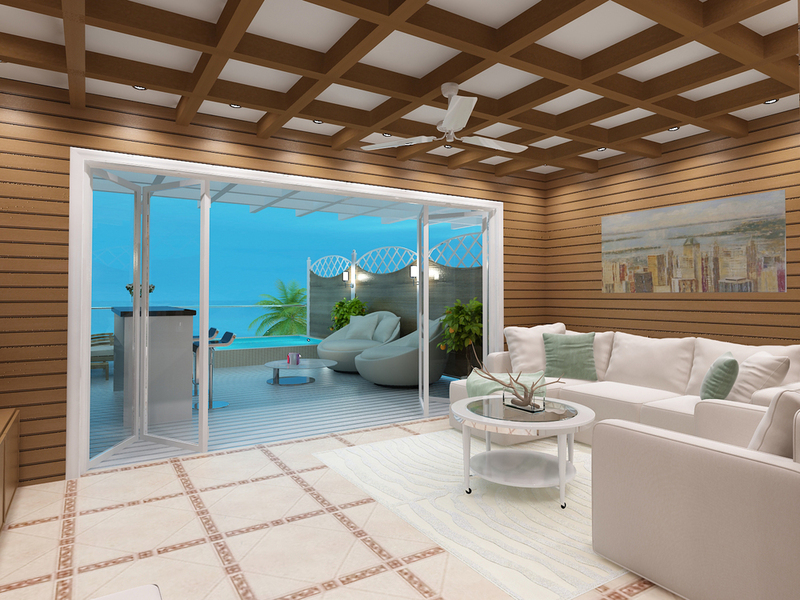 For those of us stuck in the cold winter weather, here are a few 3D renderings that may inspire you to book a holiday to the sunny south. 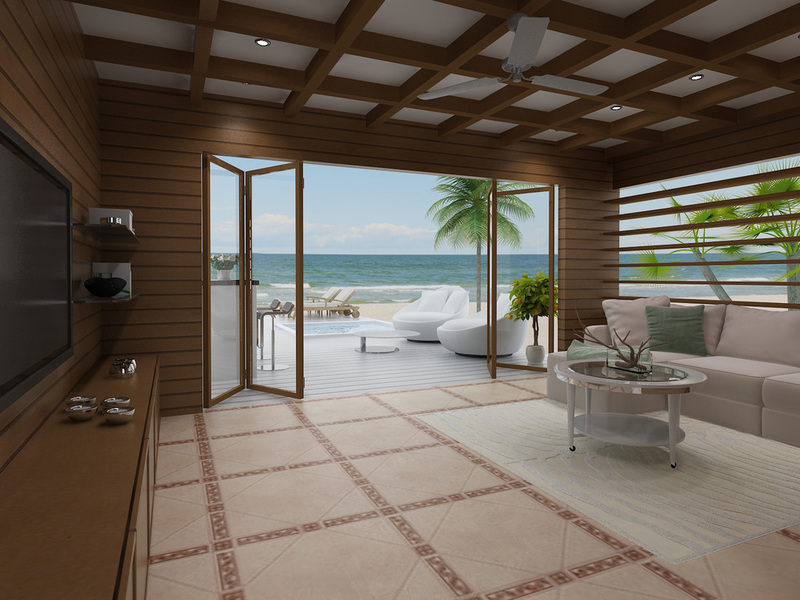 We recently completed a series of 3D renderings for Turtle Cove in Turks and Caicos. 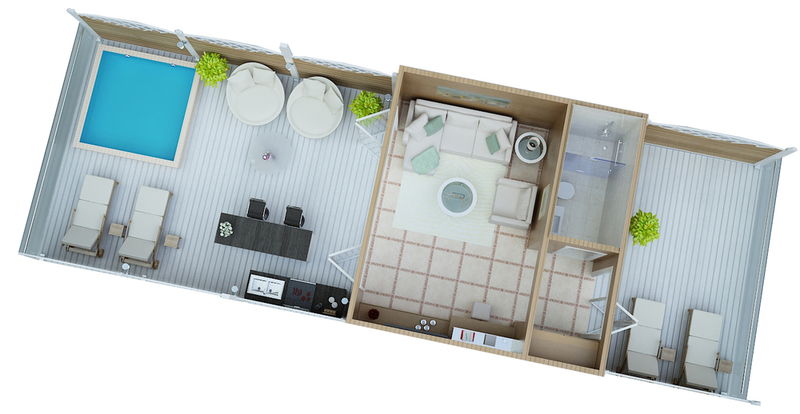 As you'll see in the photos below this getaway destination provides great amenities both inside and out. 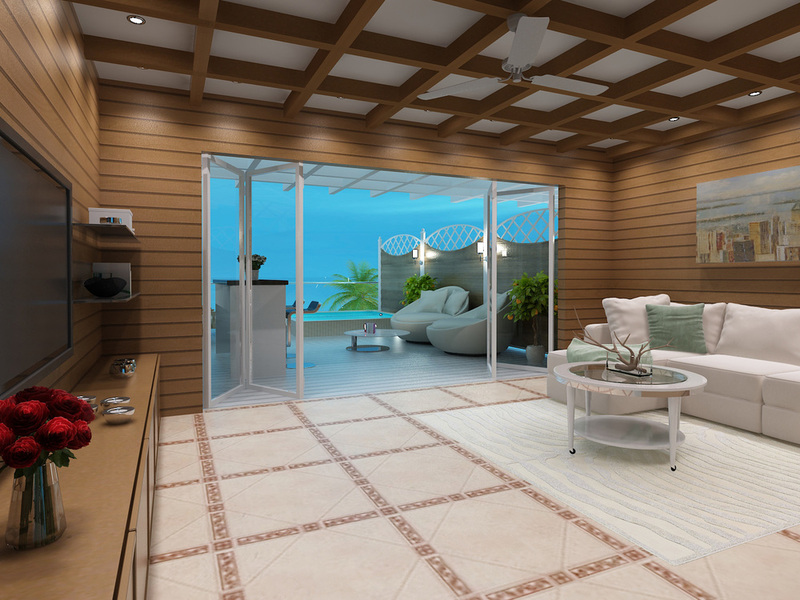 Inlayed tile floor to provide a seamless flow between the outdoor and indoor living spaces. Horizontal panelled walls provide warmth to the room and compliment the views of the horizon out the bi-folding glass doors. 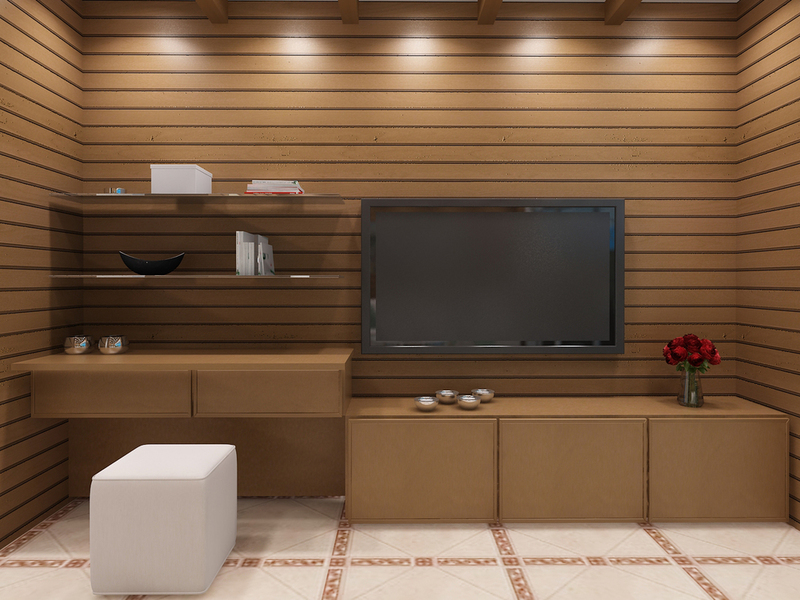 Modern aesthetics provide a clean and functional space that is cozy and comfortable. 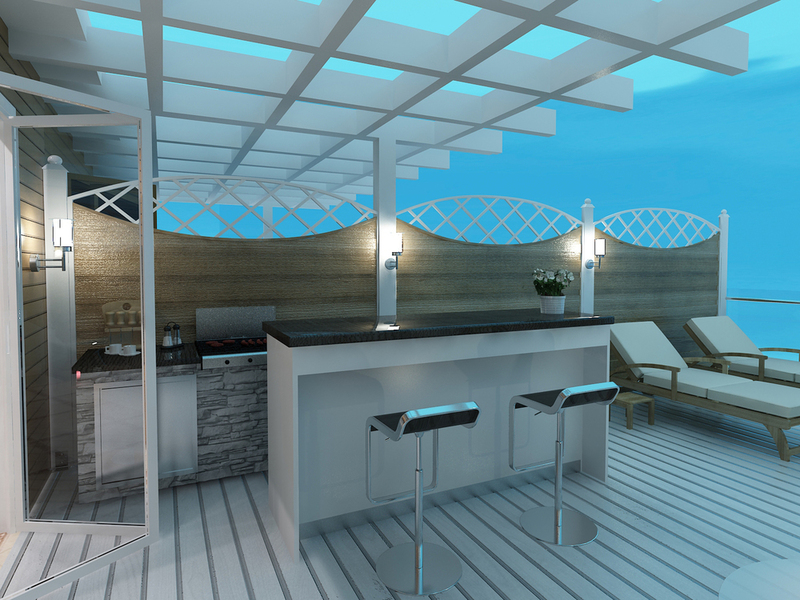 An outdoor bar with built-in appliances and pergola provide a shaded gathering area after a swim in the private pool.